Chitra Banerjee Divakaruni may be a new-to-me author, but her established background gave me pause and I started to wonder how I could have missed a person whose writing resume includes everything from multiple acclaimed novels to four volumes of poetry, along with an award-winning novel for young readers. I have clearly missed out and not only did I love this book, but it certainly has inspired me to read more Asian authors, those who might not be immediately known in America, but should be. I obviously may have been under a reading rock for much too long. Oleander Girl truly is a coming-of-age tale that embodies everything that a Gothic story should have, filled with family secrets, betrayals, and crumbling mansions. 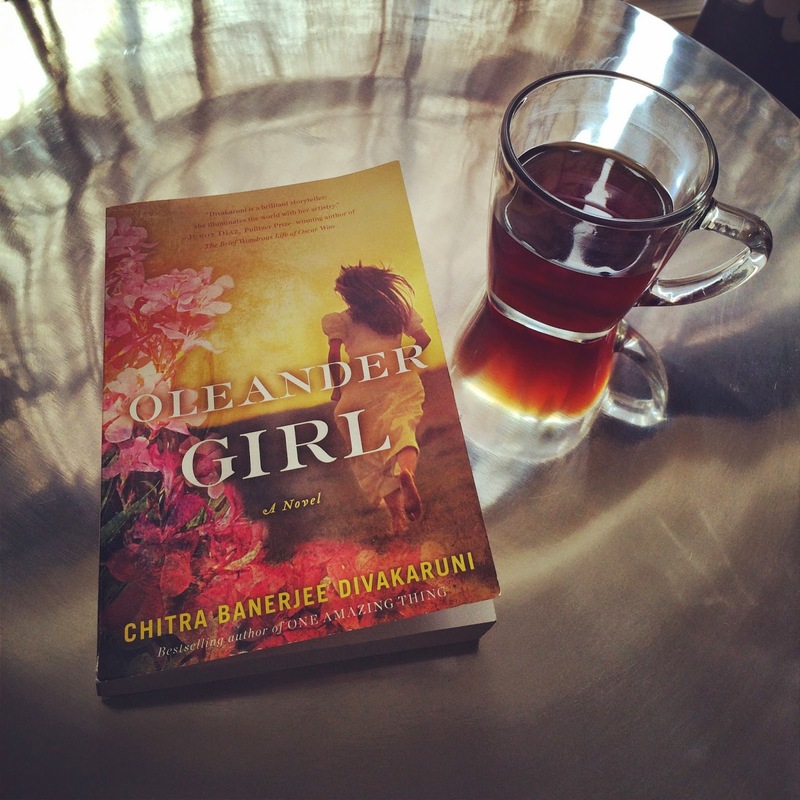 Dually set in India and America, Oleander Girl is a beautiful story of secrets and lies, hope and despair, friends and enemies, but most importantly, love. At seventeen-years-old, Korobi has spent her life in Kolkata, India, in an old and beautiful mansion and grounds that also includes an historic temple. Raised by a loving grandmother and a strict and traditional grandfather, Korobi longs to hear stories of her parents who passed away, her father first and then her mother during childbirth. All Korobi has, though, is an unfinished love letter written by her mother to her father. What she wouldn't give to know more, but her grandparents are silent, unable to bear the pain of the memories. It's only when Korobi has a vision of her mother the night before her engagement party to the charismatic Rajat Bose, that she knows there is more to uncover about her family's past. When her grandfather unexpectedly dies that night, he reveals part of a secret Korobi never believed possible, and she must bravely travel out of the only life she's ever known into post-9/11 America to find the rest of the answers, both about her parents and her family, but most importantly, about herself. The story is very much a coming-of-age tale, but there is so much more to it than just Korobi's search for family truths. Not only are we viewing America through the eyes of a young Indian woman after 9/11, but there is integral detail on race and class distinctions, both in India and America. The character of Asif, the Muslim chauffeur of Rajat's Hindu family who viewed Rajat's young sister as though she were his own blood, was fascinating, another example of the beautiful and complicated mosaic of life in India. I am extremely embarrassed that I haven't yet read more from this part of the world, and would proclaim myself a reader that still has much to learn. Without a doubt, this will make my list of Best Books I've Read in 2014. Divakaruni's writing is beautiful and engaging, and there is a lilting Gothic feel to the story, reminiscent of marshes and cold shorelines, mysteries embedded within mysteries. The only difference between Du Maurier's Gothic landscapes is that in Divakaruni's world, it's an Indian setting, simultaneously beautiful and peaceful, and also tumbled with strict tradition and chaos, but culturally rich and diverse. The complexities of blending these very different worlds within India successfully is a work of true art and an exciting exploration for this American reader. 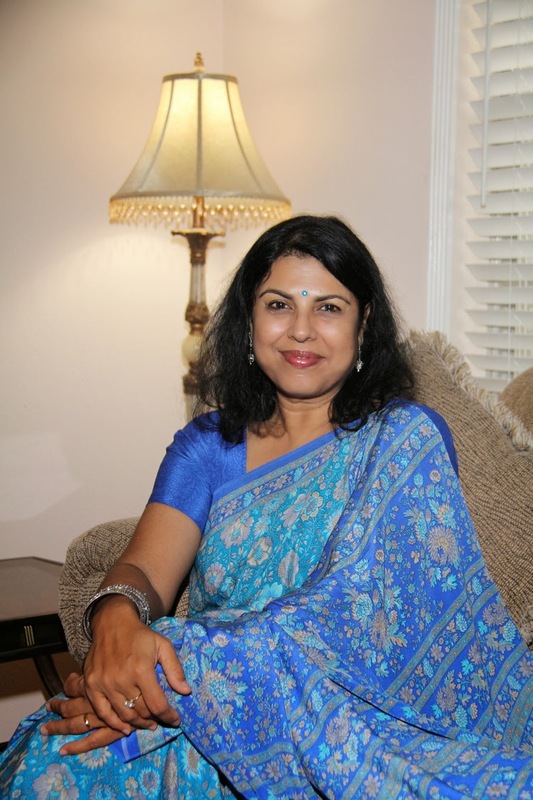 Divakaruni is a writer many may not be familiar with, but I can assure you that you won't be let down. I'll soon be diving into more of her work soon. Chitra Banerjee Divakaruni is the author of the acclaimed novels The Mistress of Spices, Sister of My Heart, The Vine of Desire, The Palace of Illusions, and One Amazing Thing; two short story collections, Arranged Marriage and The Unknown Errors of Our Lives; four volumes of poetry; and an award-winning novel for young readers, The Conch Bearer. Her work has appeared in The New Yorker, The Atlantic, and The New York Times. The winner of an American Book Award, she teaches writing at the University of Houston. Sounds awesome. The cover is gorgeous. Draws me right in. this one sounds so wonderful! I love the Gothic aspect and will be tracking this one down! thanks for sharing! I'm so happy to hear that she has a new novel out! I've read "Mistress of Spices" and "One Amazing Thing" and loved them both. It does sound amazing, but isn't something I would have considered without that glowing review from you. Best in 2014??? That is exciting! I haven't heard of the book or author before, so thank you for bring her to our attention. So many lovely things going on in the book and I love that she also writes poetry, I think I will enjoy her writing. Adding to Wishlist. I had heard of this title, but thanks for letting us know more. You sold me on it! I really enjoyed delving into Indian culture and tradition in the is book and seeing how the country changed in Korobi's eyes when she came back a different person. I've read ONE AMAZING THING by Chitra Banerjee. Although I liked the book somewhat, I didn't quite love it. I should read more of this author's books though - she is certainly a talented writer and storyteller. Yup, this is definitely going on my TBR. I love reading books set in amazing places like India! The story itself sounds really good too!